The specifics of my plan for going pro have changed slightly and I've come to the realization that it will benefit me in the long run to go bigger with the brew system. In light of this, I made a purchase! I'm thinking I can turn this 324 gallon jacketed processing tank into a brew kettle -- either direct fire or low pressure steam. But I keep waffling back and forth. Presuming the jacket can hold pressure (which will need to be tested), steam seems like it would be easier to get inspector approval, but would be much more costly than direct fire. I'm interested to hear any thoughts from the forum -- cheers! 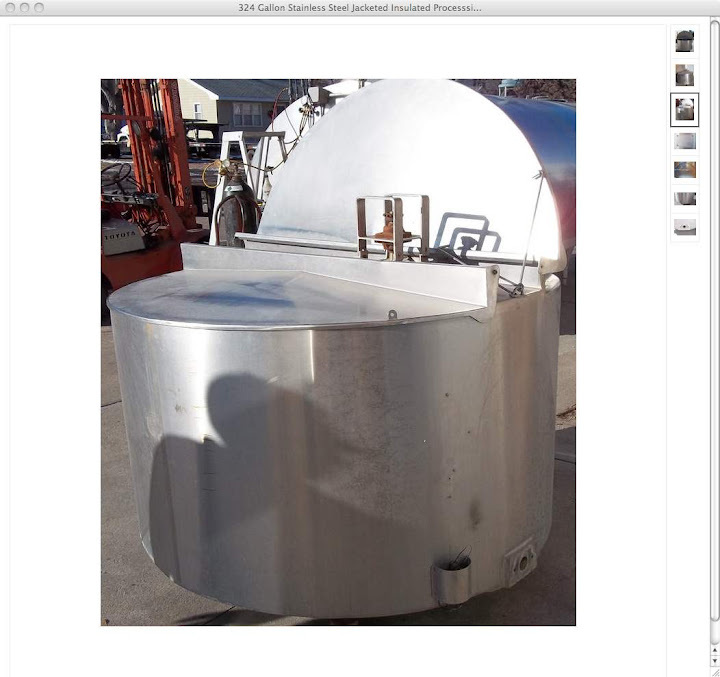 Looks like a nice kettle for a 7 bbl system. As wide as it is, you'll have a lot of boiloff, so you may be able to get away with not using a condensate trap. It might be tricky to rig up an effective kettle stack though. I don't think I've personally seen one with a flat top like that. Obviously it will depend on your specific economics, but the increased efficiency of steam will probably more than offset the cost of a boiler, even amortized over a relatively short timeframe. The boil off was something I considered. I've got a pair of 7 BBL FVs, so I figured that the 324 gallon with 10% headspace, 15-20% boil off and 5% trub loss would still give me a full 7 BBLs into the FV. I've been thinking about the stack and my thoughts have circled around cutting a hole (10-12") in the rear section, affixing a stack and venting through the roof. That way, I can keep the front section of the lid fixed for hop / fining / whirlpool spice additions. 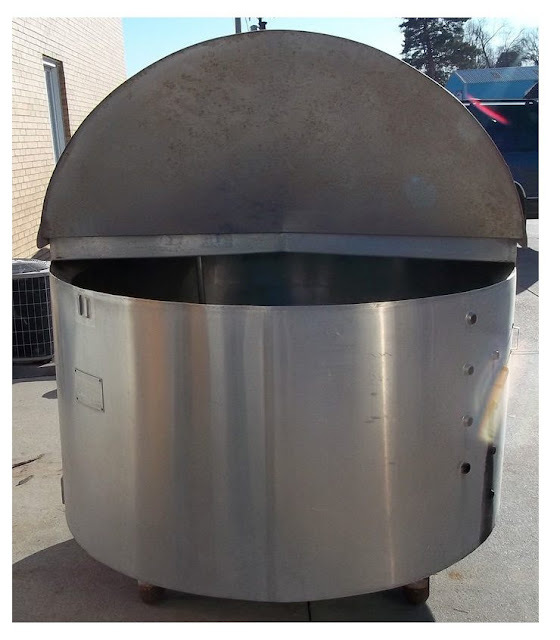 What would you say is a typcial boiler size for something like this? Can I get away with a decently sized electric boiler, or is natural gas the way to go? Looks like a better mashtun to me. 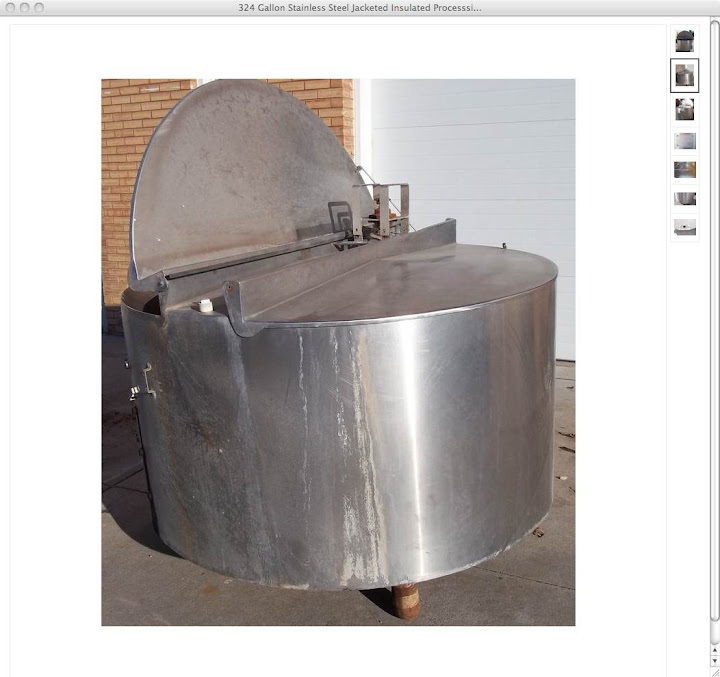 in fact it looks almost exactly like my mash tun. I'd work on moving that direction and look for a BK that can be steam stacked. What did you wind up doing for a brew kettle? That's what I was thinking too since it has a paddle configuration already in place. How are you going to get that monstrosity home Kyle? The tank measures 63" wide by 48" tall -- my pickup measures 65" wide above the wheel wells! I ended up with a used boiler. They are cheap and available. I'll take some pictures and post them soon. But my MT looks almost exactly what you have. also, I'd recommend staying away from steam if you consider yourself on any type of a budget. You will absolutely choke up your lunch when you find out how much it costs to install. I was all ready to go with steam until the estimate came in. Boiler was cheap, jacketed BK was cheap too. Installation was over 30K. Problem with the paddle configuration is you have to figure out how to work with it with the false bottom since the paddle attaches to the bottom. Not impossible but I haven;t worked mine out yet. As far as the budget for steam goes, that was my main concern. We’re 100% self-financed to this point, and I’d like to keep it that way for a while; I’m not sure we can attain that goal and go with steam – but, we have some friends in the industry, so it may yet be an option. Was it the labor or the materials that drove installation costs upward? With regard to the rakes, there’s a thread on Probrewer I’ve been following (http://probrewer.com/vbulletin/showthread.php?t=23719&highlight=rakes). The recommendations in the thread are that rakes are unnecessary until you get over 20 BBLs. There was a certain amount of construction that went into the steam build that I can't recall now. But if you have any doubts, check pro brewer. There are a few posts about people being shocked at the cost of installation. No kidding, the boiler we looked at was 2-3K and the BK we looked at was 5K. The quote for installation was 30K. I am having the finishing touches of my BK installation installed tomorrow. If it works I will post all about it. 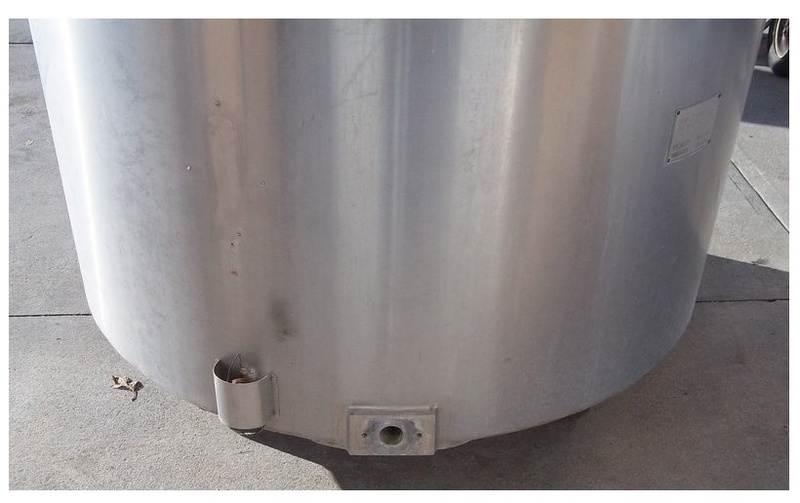 Basically for my MT and BK it costs us about 15K and installation was about 3K because we had to get larger diameter gas ran over to the brewing area. No doubts about the steam costs! Danny at Caution mentioned they dropped some coin on their 'plumbing' bill, which included steam, on demand hot water and a nice little trench drain. As far as the comments about the tank being a better MT than BK, just curious what's driving the thoughts. I'm not opposed to making it the MT, but just curious. Baically because the lack of a steam stack and the type of manway. Looks like what you have would suit a MT perfectly but I think you could find a better BK. Is there a reason you would rather use it as a BK? I did happen upon a Peter Austin brewhouse on www.soundbrew.com that they have for sale. The kettle was fitted with, what looks to be, an inverted hopper on the brew kettle, and I'm thinking I could cobble something together like that if a stack is truly necessary. Any thoughts on the necessity of one? I suppose the current flat top could pose some DMS issues with residual condensation. The real reason for thinking of this tank as a brew kettle was a combination of economics and availability. I've been looking for a kettle for a while when I came upon this tank, but maybe I wasn't looking in the right spots for brew kettles. The tank is jacketed and insulated so fitting it for steam seemed pretty straight-forward. Also, some of the comments I've seen on BK design say you should have a relatively tight H:W ratio, especially if you're planning on a combination BK/WP. As an additional point, I've got access to a nice sized dairy bulk tank that I was going to fit as the MT with a manifold (as opposed to a false bottom). The bulk tank would give me the ability to go up to a 1.100 wort on one mash -- that being said, I have yet to see the tank in person (it's my father-in-law's), and I don't know if the geometry of the tank would be best for a mash tun sized for typical 1.060 brews.